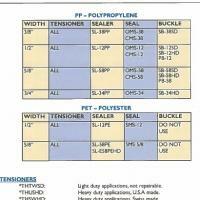 Rigid - load dimensions remain constant before, during, and after strapping. 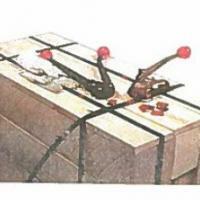 Expanding - load dimensions become larger after the strapping material is applied. Cotton Bales Expanding Load - examples of an expanding load. These loads are first compressed in a baler, then strapped. Since the load rebounds significantly when compression is removed, the strapping must have high strength to withstand the high pressure. Shrinking - load dimensions become smaller after the strapping materials are applied. 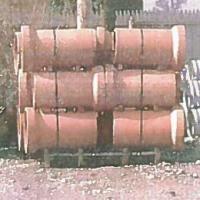 Sewer Pipes Shrinking Load - Shrinking loads need strapping that shrinks as the load gets smaller. 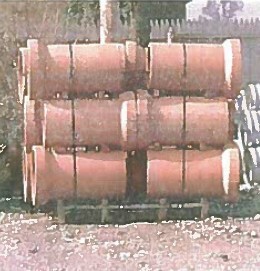 Sewer pipe stacked on green lumber separators are an example of a shrinking load because the wood separators dry out over time, causing the load to settle. To compensate for the settling, the strap must have excellent elongation and elongation recovery properties. Compressible - load dimensions become smaller when under compression and rebound only slightly after pressure is removed. 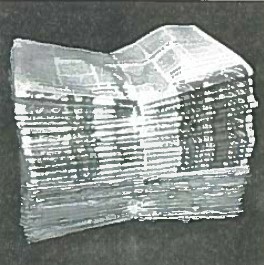 Newspaper Bundle Compressible Load - Newspaper bundling is an example of a compressible load. Compressible loads require strapping that will not expand. 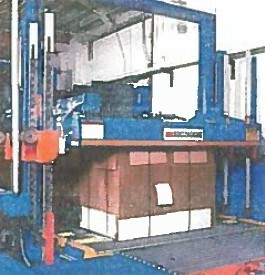 Combination - load dimensions compress when packaging material is applied, rebound when compression is removed, compress again when other products are stacked on top, and rebound or expand once again after the products on top are removed. Corrugated Containers Combination Load - When corrugated containers are unitized and knocked down, it is an example of a combination load. The load is compressed when strapped, expands when the compression is removed, shrinks when other loads are stacked on top of it, and expands once again when the loads stacked on top are removed. Each of these packages requires a strap with specific characteristics that will ensure load stability regardless of how it is handled. 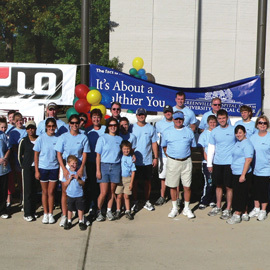 We refer to unitizing when the load does not require a pallet such as pictured below. 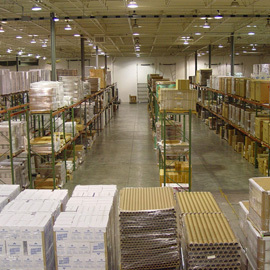 When the load requires a pallet, like the load of text books pictured below, we refer to the process as palletizing. 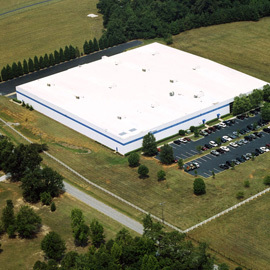 Many loads are large quantities of medium and light products, such as corrugated boxes. These load types require compression to secure and compact the package for optimal load integrity, transportability and safety. The corrugated load was compressed and strapped for a tight package to keep it from falling apart. The brick load however is a very heavy, dense rigid load that cannot be compressed much. The heavy load is vibrated and high tensile polyester strapping, under extra heavy tension, forms a tight package. Many loads such as bricks and corrugated are cross strapped for additional security.